Coming this winter the Data & Visualization Services Department will once again host a workshop series on the R programming language. Our spring offering is modeled on our well received R we having fun yet‽ (Rfun) fall workshop series. The four-part series will introduce R as a language for modern data manipulation by highlighting a set of tidyverse packages that enable functional data science. We will approach R using the free RStudio IDE, an intent to make reproducible literate code, and a bias towards the tidyverse. We believe this open tool-set provides a context that enables and reinforces reproducible workflows, analysis, and reporting. This six-part series will introduce R as a language for modern data manipulation by highlighting a set of tidyverse packages that enable functional data science. An official announcement with links to registration is forthcoming. Feel free to subscribe to the Rfun or DVS-Announce lists. Or look to the DVS Workshop page for official registration links as soon as they are available. This workshop series is intended to be iterative and recursive. We recommend starting with the Introduction to R. Proceed through the remaining three workshops in any order of interest. We presented a similar version of this workshop series last fall and recorded each session whenever possible. You can stream past workshops and engage with the shareable data sets at your-own-pace (see the Past Workshop resources links, above.) Alternatively, all the past workshop resource links are presented in one listicle: Rfun recap. Visualize, manage, and map your data in our Fall 2017 Workshop Series. 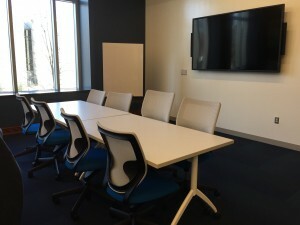 Our workshops are designed for researchers who are new to data driven research as well as those looking to expand skills with new methods and tools. 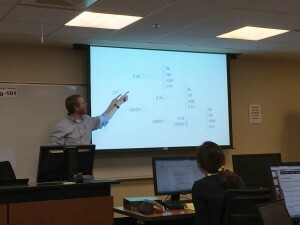 With workshops exploring data visualization, digital mapping, data management, R, and Stata, the series offers a wide range of different data tools and techniques. This fall, we are extending our partnership with the Graduate School and offering several workshops in our data management series for RCR credit (please see course descriptions for further details). Everyone is welcome at Duke Libraries workshops. We hope to see you this fall! Interested in getting started in data driven research or exploring a new approach to working with research data? 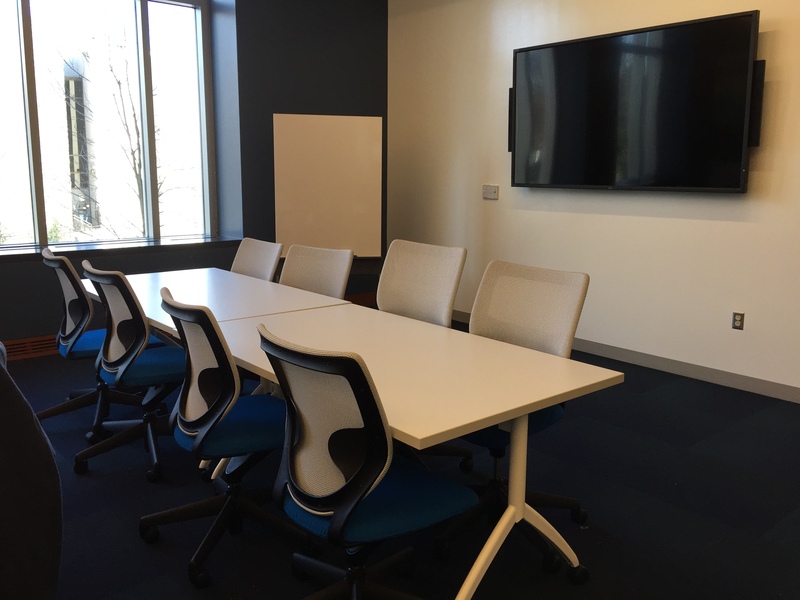 Data and Visualization Services’ spring workshop series features a range of courses designed to showcase the latest data tools and methods. Begin working with data in our Basic Data Cleaning/Analysis or the new Structuring Humanities Data workshop. Explore data visualization in the Making Data Visual class. Our wide range of workshops offers a variety of approaches for the meeting the challenges of 21st century data driven research. Please join us! 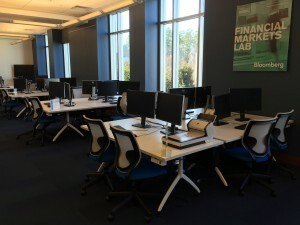 * – For these workshops, no prior experience with data projects is necessary! These workshops are great introductions to basic data practices. 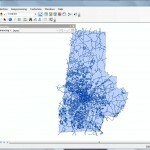 One of the limitations of computer mapping technology is that it is new. There is little historical imagery and data available as a result, although this has started to change. 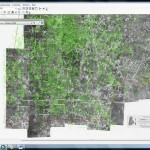 The integration of paper and imaged maps into computer mapping technology is possible, and this tutorial will walk through the process of georeferencing. 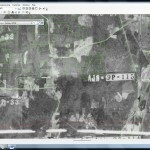 Georeferencing is the process of placing an image into two dimensional space. In essence, georeferencing pins a scanned map to particular geographical coordinates. 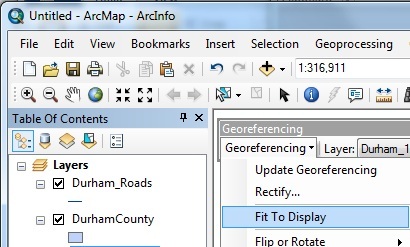 This tutorial will georeference a map of Durham County from 1955. 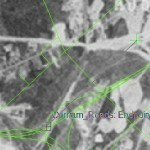 In addition to the scanned map, we will use two current layers as referents: the Durham roads layer, and the Durham county boundary. 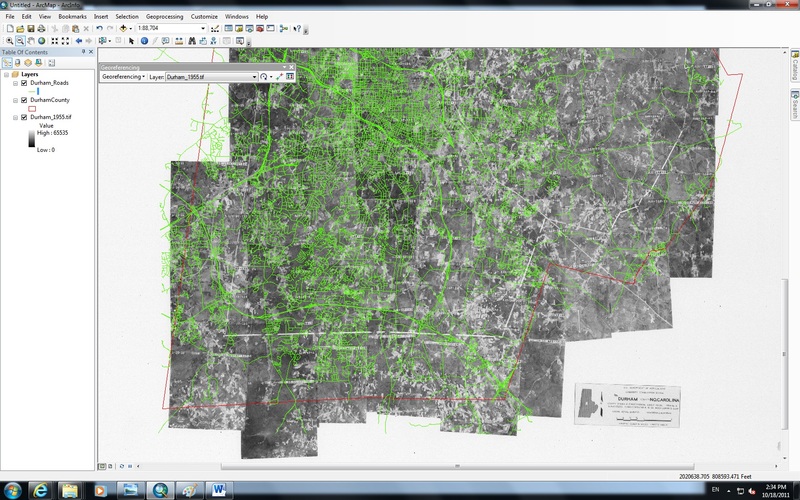 Note that because the layers are more recent than the historical map, many roads will not exist in the image. 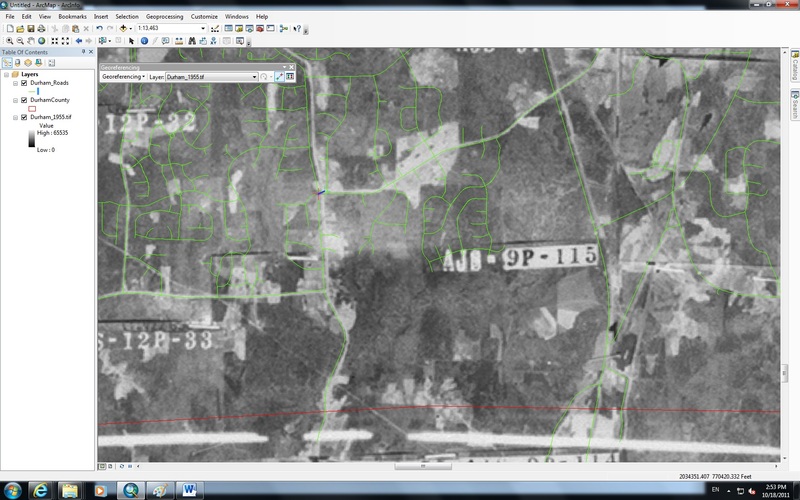 Georeferencing historical imagery requires familiarity with geographic characteristics and changes. 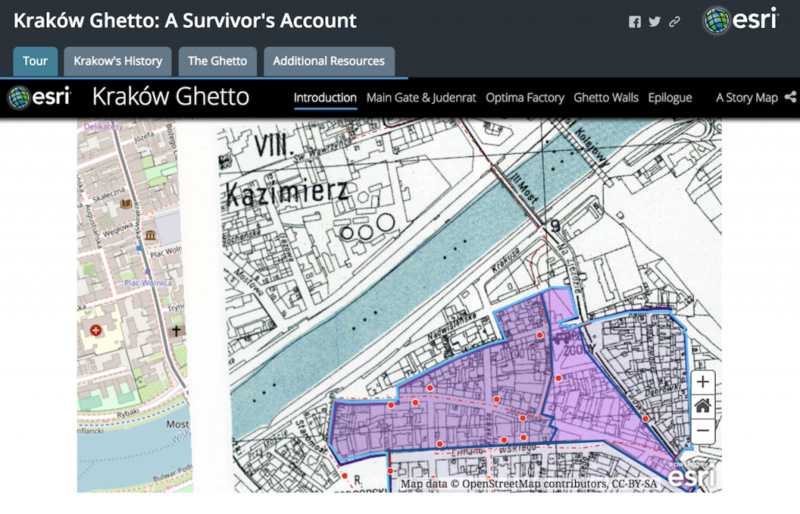 First, under the “Customize” Menu Bar option, navigate to “Toolbar” and select Georeferencing. 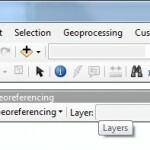 The figure to the right displays the Georeferencing toolbar. Next, add the shapefiles that you will use as referents for the image. Once this is done, add the image to be georeferenced. Note that you will almost certainly not see that image, as it lacks spatial coordinates. However, the image will appear in the Table of Contents. 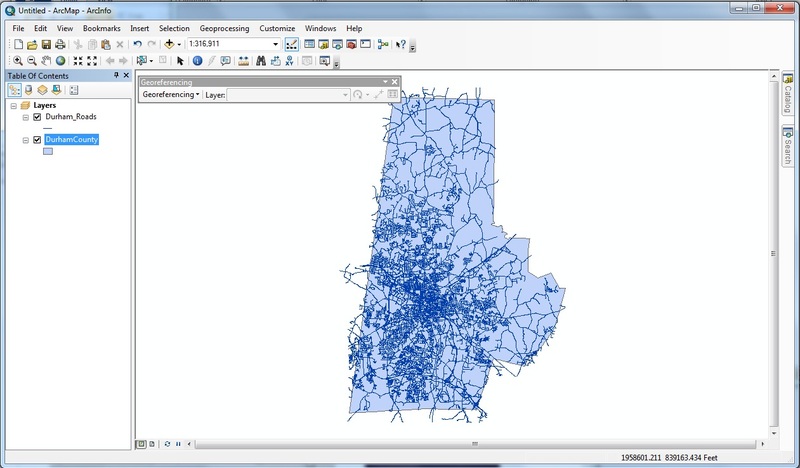 In this example, I have added Durham County (blue polygon) and the Durham roads layer (blue lines). The next step will relocate the image to the center of your current window and will expand the image only to the point where the entire image is visible. In this case, Durham County is taller than it is wide, so vertical space will be maximized. First, it is a good idea to zoom, if necessary, so that your current view roughly matches where the image will be place. In this case, zooming to the full extent of the Durham county boundary will accomplish this. Second, under the Georeferencing toolbar, click “Georeferencing” and select “Fit to Display.” The image should be roughly aligned to the data layers, though if not, this is not problematic. As you can see from the image to the right, there is some distance between the county boundaries of today (red lines) to the hand-drawn county boundaries located in the image (white lines). 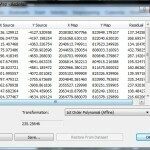 ArcGIS georeferences images through the addition of control points. 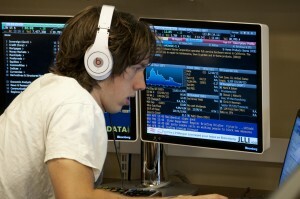 The control points tool (to the right) operates through two mouse clicks: the first mouse click selects a point on the image, and the second mouse click pins that point to a location within a data layer. For example, in the image to the right, I have selected a major intersection that likely has not changed in the last 60 years. After my first click, where I’ve selected a point near the top of the intersection, a green crosshair is placed. 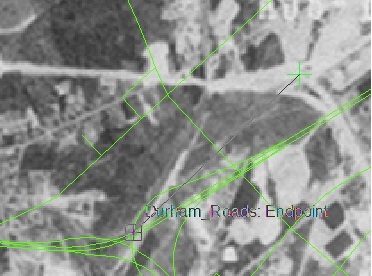 As I move the mouse, ArcGIS will pin my current crosshair to a proximate layer, in this case, the Durham roads layer. Once you click a second time, the map will move to conform to the new control points. Control points work in combination, so as you add new control points, your image will (ideally) match more closely to your referents. There is a limit to how much each subsequent control point will improve fit as more points are added. Generally, it’s a good idea to zoom in to improve accuracy and to create control points across the extent of the image. 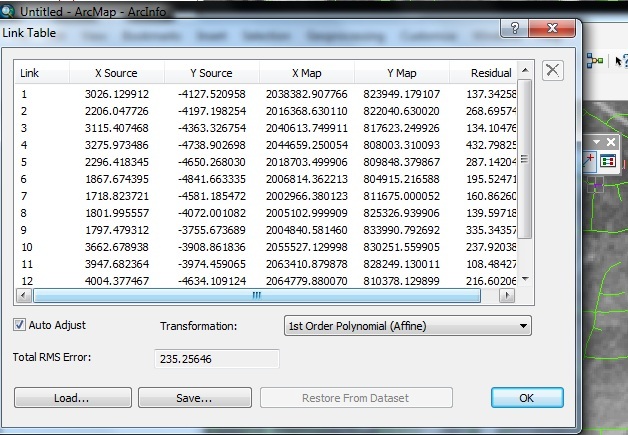 After about 15 control points, we can compare the image to the included shapefiles. As you can see, if we assume that major roads have not changed, the green lines correspond well to the image, while the county boundary does to a lesser extent. Before saving the results, it is also a good idea to evaluate the results. Open the Table of Points to see each of your control points and the root mean squared error of all control points. The Root Mean Square error (RMS) provides a rough guide to how consistent your control points are to one another with reference to the map. Note that a low value does not mean that you’ve necessarily georeferenced the image well, it means you’ve georeferenced consistently. High RMS errors indicate that your control points are less consistent with one another in comparison with a low RMS error. One way to address this issue is to identify especially probelmatic control points and either replace or remove these points. However, always reevaluate how well your image maps to the referent shapefiles. You may delete control points or add new points at this stage. In addition, you may also try different transformations, although second- or third-order transformations are rarely needed. 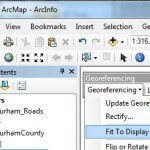 Under the Georeferencing tab of the Georeferencing toolbar, select “Update Georeferencing.” Spatial information is saved in two new files that MUST accompany the image, an “.aux” file and a “.thw” file. – Use more than 1 referent if possible. 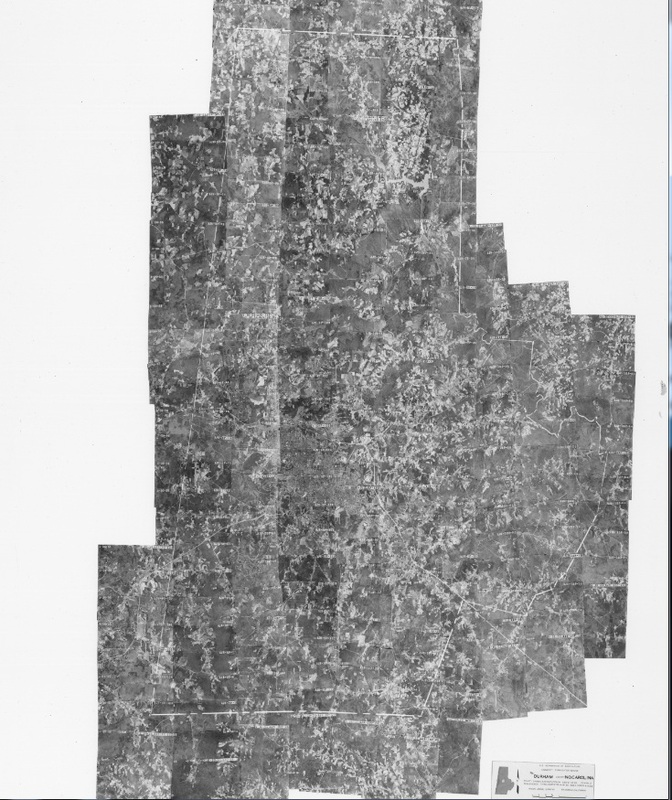 In this example, the county boundary provided a rough guide with respect to how far off the image initially is, but was not used to actually georeference the image. – Georeference to accurate features. 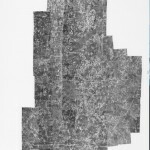 In this example, the county boundary was hand-drawn on the image and is not as precise as photographed features, like roads.